Apple is opening an iOS App Development Center in Naples, Italy. The facility will be the first of its kind in Europe as the U.S. company explores way to nurture mobile app developers and talent of the future from the region. The center is designed, as the name suggests, to be a place where aspiring app developers can receive training and mentorship to develop their skills and ability with Apple’s iOS software. It isn’t clear when the Naples-based hub will open, but Apple did say that it will be located at a partnership institution in the city. The company added that the program will be expanded to other countries worldwide in the future. In case you’ve been living in cave for the past five years or so, mobile apps are big business — and iOS apps, in particular. 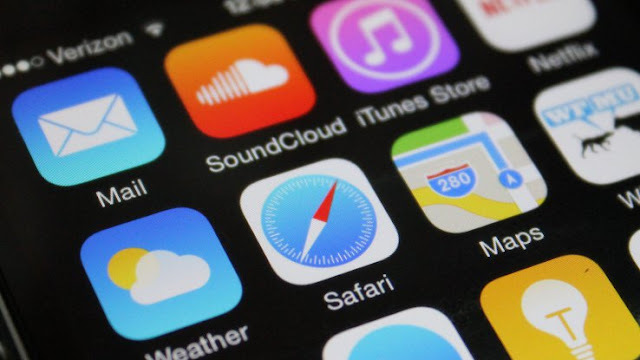 Though the number of Google Play app downloads was double that of iOS last year, the Apple operating system generated 75 percent more revenue than its competitor, according to data release by App Annie this week. Indeed, Apple racked in more than $1.1 billion from iOS app purchases and in-app purchases during the recent New Year period alone. Explaining its decision to open the Italy-based center, Apple said its mobile ecosystem has helped developers in Europe earn more than €10.2 billion while it estimates that, in Italy alone, over 75,000 jobs are linked to its App Store. “Europe is home to some of the most creative developers in the world and we’re thrilled to be helping the next generation of entrepreneurs in Italy get the skills they need for success,” Apple CEO Tim Cook said in a statement. I am a technology fanatic. I love exploring, building, coding and fixing problems. The fast paced world is moving innovating something every day, so I keep a tab on these innovations and the latest that is happening in the information technology field. If you share the similar interest, then following me will get you the best of updates and reviews in information technology today. I would love to have an active conversation, so don’t be hesitant to share your views with me. What are the obstacles that spoil the intuitive ecommerce UX? How can Drupal be an impeccable solution for mobile-friendly websites? What is the best possible platform for your business: Wordpress or Squarespace? How to optimize your mobile site with a great navigation menu?